Today’s advanced smart technology has really taken off in one of the most ancient of practices: Agriculture. For some, indoor gardening is a hobby, and for others it’s become a lifestyle. For those serious about controlling their indoor gardens, and maintaining the consistency of yields, cloud-based controllers offer major advantages for your garden’s performance. Cloud-based controllers monitor and provide feedback for growers on their garden’s performance levels in the form of data collection. The grower can then use this data to make necessary adjustments to water, nutrient, oxygen, pH, and energy consumption levels. The result is a more efficient, effective, high-performing indoor garden with fresher, healthier produce right in your own home or office. This device aims to help gardeners with the growing process, making it far easier and better for the garden’s wellbeing, while improving efficiency. This device’s software and hardware collide with one another, offering hydroponic gardeners a myriad of tools to maximize their garden’s health and growth. 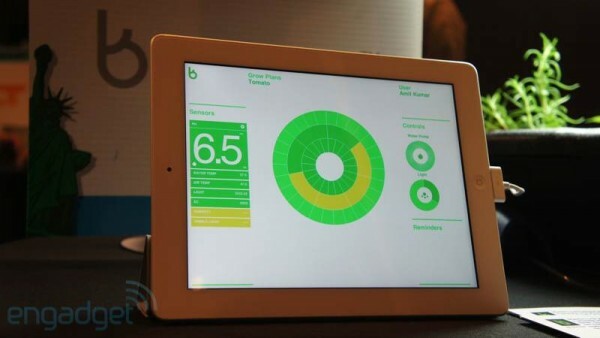 Currently beta testing and to be released in 2015, the OsmoBot seems to be another stellar product that will provide valuable benefits to many forms of “ponics”, including the ability to run gardens using important data information, helpful apps, wireless options, monitoring, and other features. Read more about cloud-based controllers and smart technology for indoor gardening.Feature Image: The Bitponics indoor garden smart controller. Image via Bitponics.